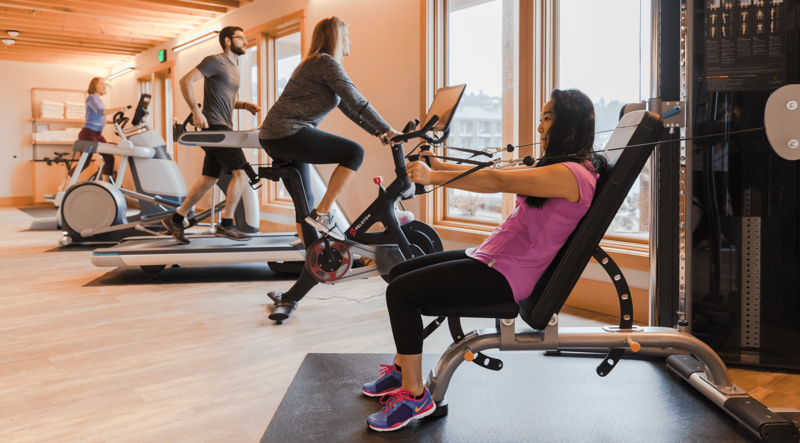 WORK IT OUT. 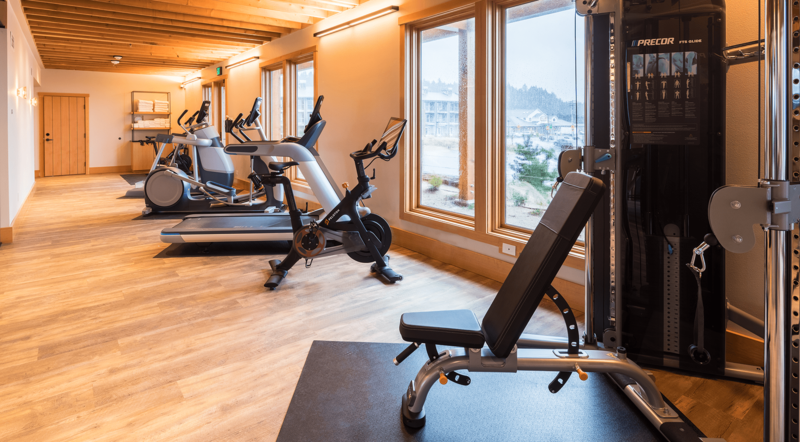 Just because you’re on vacation doesn’t mean you need to leave your fitness regimen behind. 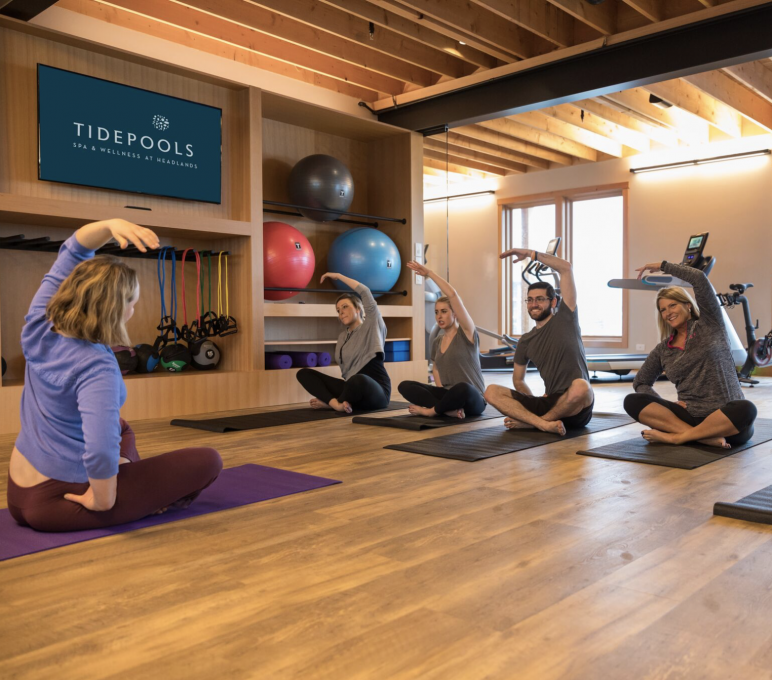 Whether you’re a casual dabbler, weekend warrior, or a daily devotee, we’ve designed Tidepools Wellness to appeal to every level of interest and ability. 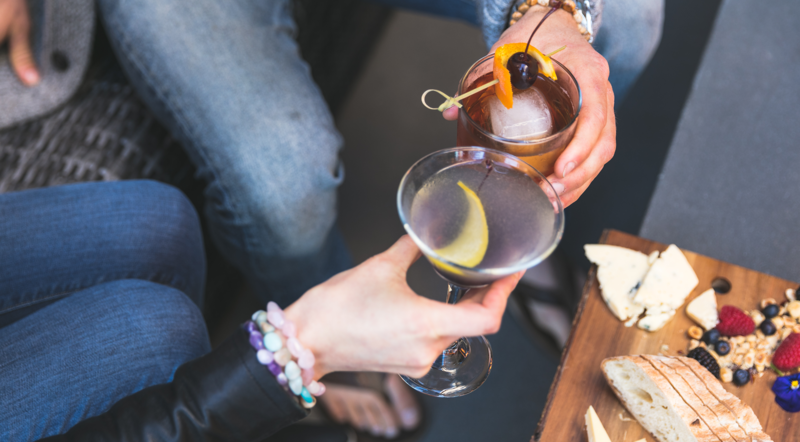 HOURS: Open daily from 5 am – 11 pm. 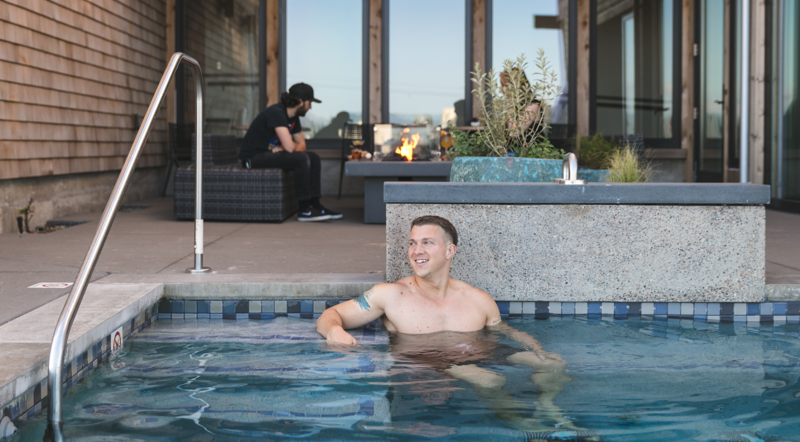 Guests are welcome to use the outdoor hot tub from 7:30 am – 11 pm. 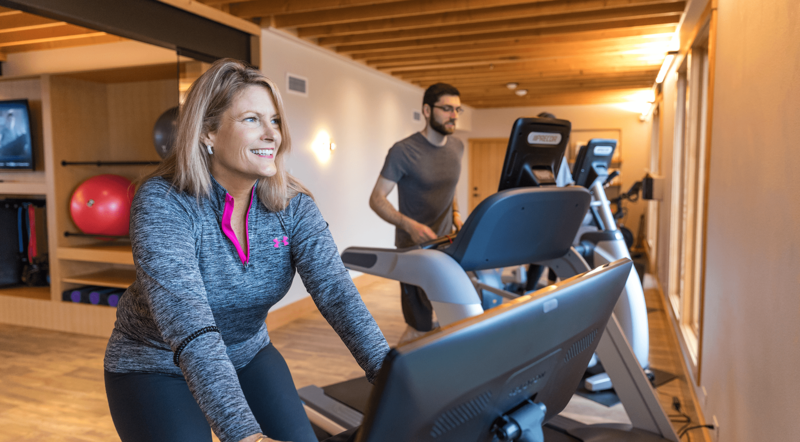 AVAILABILITY: Our fitness center, classes and hot tub are available to Headlands guests and cottage owners. 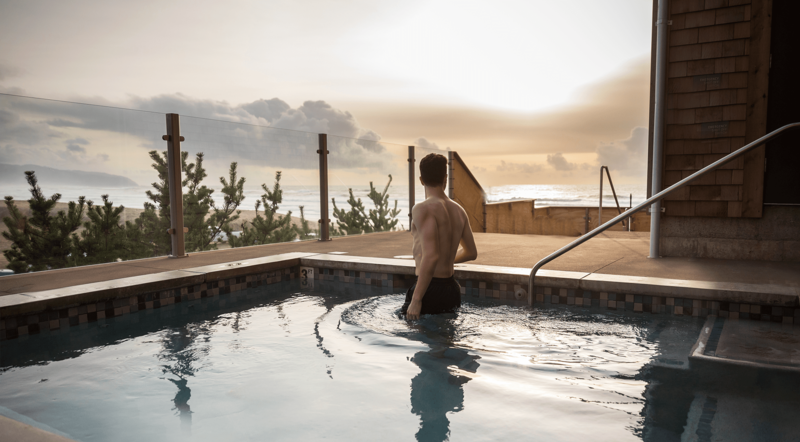 For non-guests receiving a spa treatment, complimentary access to our fitness center classes and hot tub is included the day of visit. 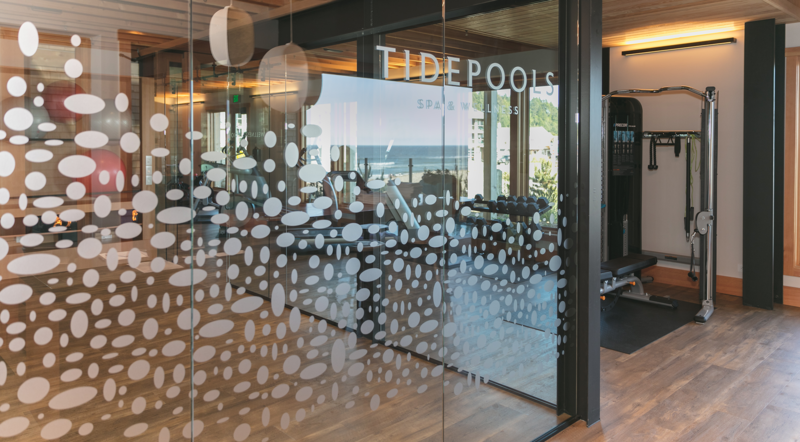 A limited number of Tidepools Wellness day passes are available daily for non-guest access to the fitness center. 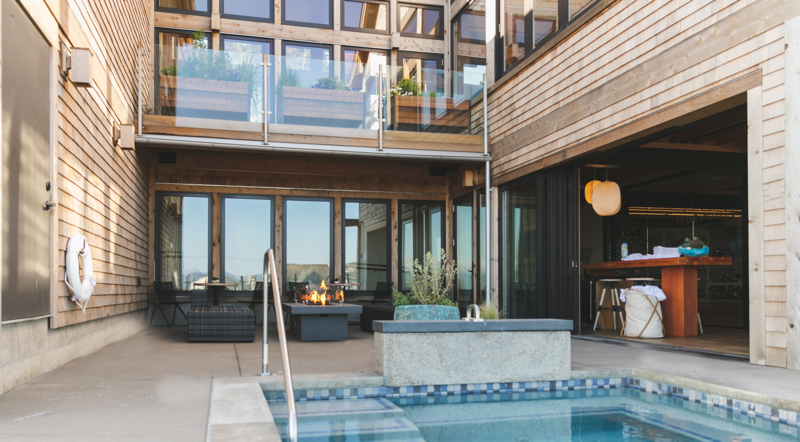 The $25 fee includes use of all Tidepools Wellness offerings and amenities. 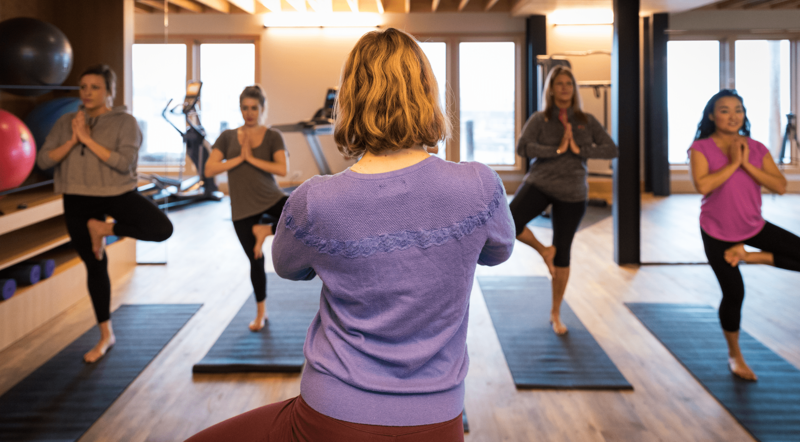 OFFERINGS: Reserve a complimentary tour and orientation to learn the basics of equipment usage, sign-up for one of our wellness classes or schedule a one-on-one personal training session with our certified instructors. 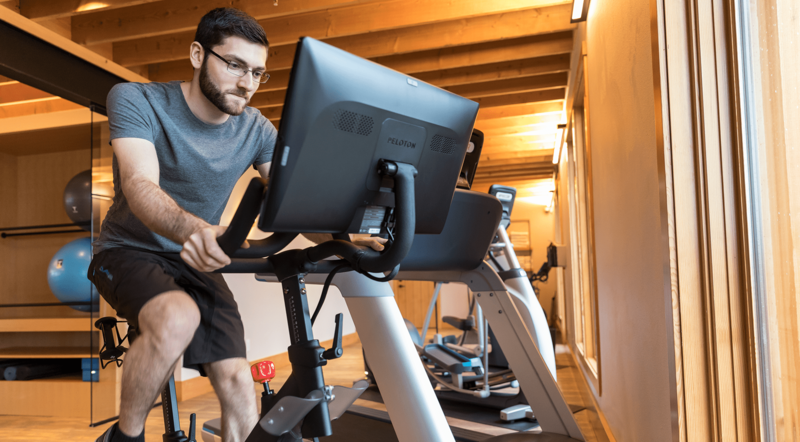 In the wellness center we have a variety of equipment including Precor cardio equipment, Peloton bikes, cable tower, free weights and yoga props. 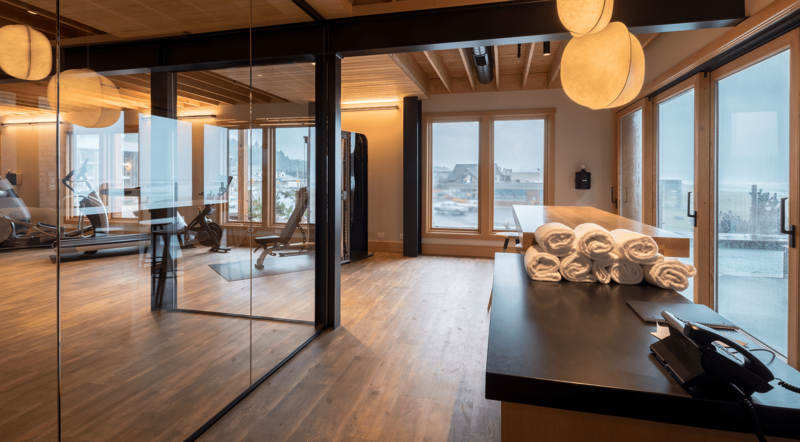 We also offer Fitness On Demand, a self-service interface where guests can select from hundreds of fitness classes in our studio space. 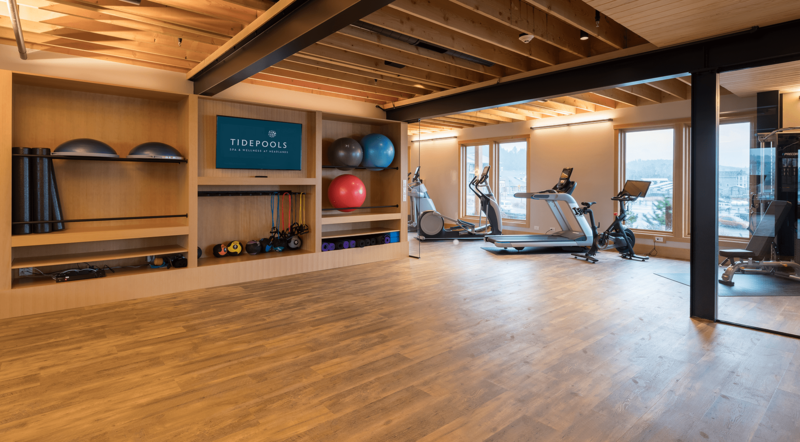 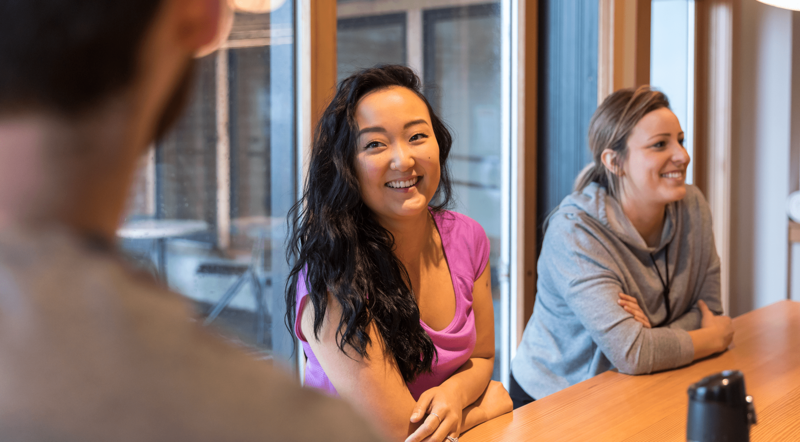 RESERVATIONS: Please call us at 503.483.3000 or email us at Tidepools@HeadlandsLodge.com to request a day pass, reserve your spot for a personal training session or in one of our group wellness classes. 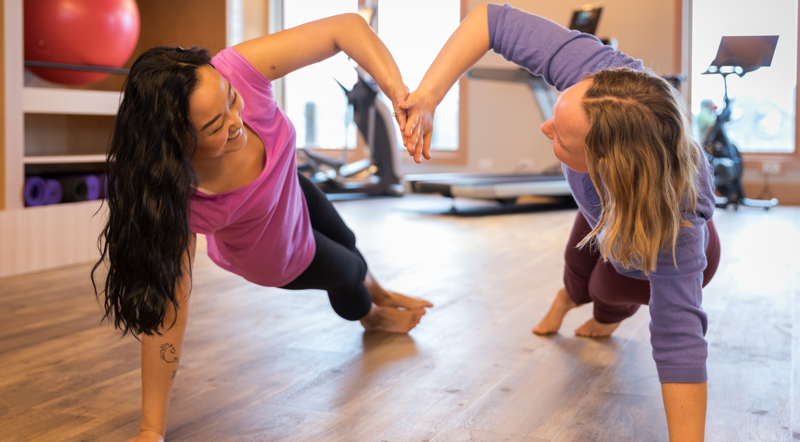 Walk-ins are welcome but we cannot guarantee your spot unless reserved prior to class.